Team of surgeons from B.V. Petrovsky Russian Research Centre of Surgery of the Russian Academy of Medical Sciences, lead by professor Vladimir Parshin, first time in Russia performed the transplantation of trachea without immunosuppression based on the regenerative medicine approach. The successful transplantation, that was made due to international cooperation on December 7, 2010, gave a new chance for life for 25 years’ old women. The patient had a severe and life-threatening stenosis of all trachea. She was not operable by classical means and would only benefit from a tracheal total replacement. Macchiarini, well-known surgeon and specialist in the regenerative medicine who is Professor of Regenerative Surgery at the Karolinska Institutet in Stockholm and Director of the Department of General Thoracic and Regenerative Surgery and Intrathoracic Biotransplantation at the University Hospital Careggi in Florence. 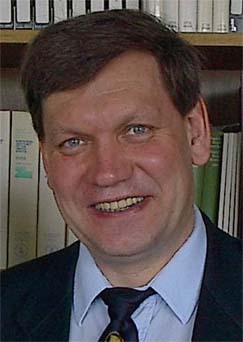 Russian specialists visited Florence in September 2010 and learned the method of professor Macchiarini in his lab. According this method, the donor’s trachea is preparing during 17-20 days with many cycles of washing to eliminate all the donor cells – this allows to avoid immunosuppression after transplantation. After that the decelluarized trachea was repopulated with own stem and epithelial cells of the patient. During several weeks after transplantation the patient’s body plays role of bioreactor in which the new organ is being formed. By now in Western Europe there was performed nine transplantations based on this method. The 10th was made in Russia. In this country this is the beginning of developing of regenerative medicine which may become an alternative for diseases of not only the upper airways but also will open new possibilities for regeneration of other organs. This transplantation was supported by Russian Foundation “Science for Life Extension” which financed this project and organized the international collaboration. What is wrong with season-of-birth studies? "While discussing studies of month-of-birth effects, it is important to be aware of methodological problems and pitfalls. In some cases a simplistic approach is applied to study the effects of month of birth on human lifespan: mean ages at death are calculated for people born in different months using cross-sectional data (i.e., death certificates collected during a relatively short period of time ). This methodology is flawed and can produce both false positive and false negative findings. For example, if the seasonality of births and infant mortality were more expressed in the past, then the month-of-birth distribution of people would differ in different age groups of the population, thus producing a spurious month-of-birth effect on lifespan (if erroneously estimated through mean age at death). This mistake happens because the mean age at death depends on the age distribution of living people, which may differ depending on month-of-birth. Thus, even if the month of birth does not affect adult lifespan, nevertheless a false positive finding may occur, simply because the effects of population age structure are not taken into account. On the other hand, month-of-birth effects could be overlooked by this cross-sectional method if the seasonal effects on age-specific mortality rates are proportional. This false negative finding happens because proportional changes in death rates produce a proportional changes in the numbers of deaths in all age groups, and such proportional changes in numbers have no effect on the mean age at death. Thus, a false negative finding may occur, because cross-sectional analysis of death records is blind to proportional changes in age-specific death rates. In our study we avoided this simplistic cross-sectional analysis of death records as a flawed methodology. Instead we applied a cohort approach by following people born in the same calendar years until the last person died (method of extinct generations)." In: Rattan, S.I.S. (Ed. ).Modulating Aging and Longevity. Kluwer Academic Publishers, Dordrecht, The Netherlands, 2003, 27-50. "I particularly appreciated the fact that the speakers chosen reflected the broad range of opinions on mortality, aging and longevity. The only presentation which I was not satisfied with was that of Prof. Hayflick. Despite being extremely accomplished in his own field, his views on the broader topic of longevity and mortality are his own personal and private views, and should be kept out of a public debate. When choosing prominent figures from scientific backgrounds, the organizing committee might in future try to ensure that the presenters talk about topics they actually know about. Sitting through a diatribe against longevity research from expressed by a grumpy old microbiologist was close to insufferable. " I wonder how common are such frank comments in evaluations you have ever seen?